This beautiful Atlanta home designed by Joann Kandrac and Kelly Kole of Kandrac & Kole Interior Design has me dreaming of spring! 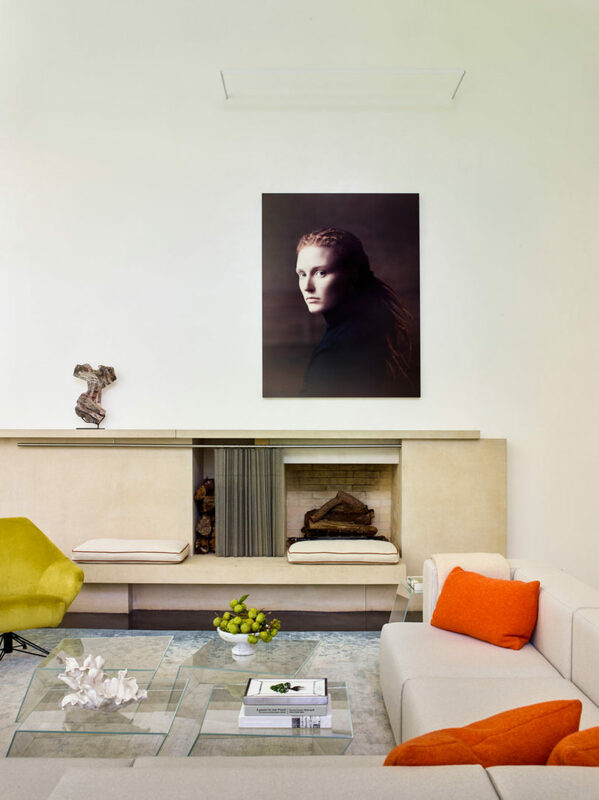 The home (photographed by Lauren Rubinstein) belongs to an empty-nester couple who had been wanting a ?WOW? kitchen for a while and finally pulled the trigger. 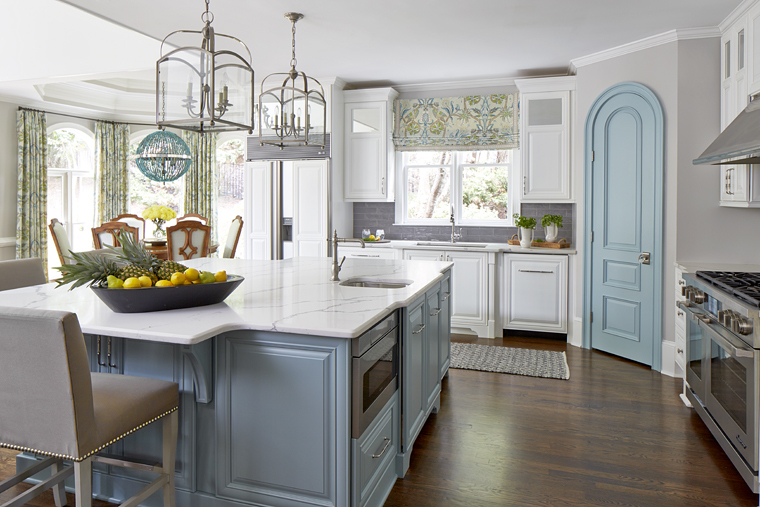 My eye went straight to that gorgeous arched pantry door…it totally makes the space! The splash of color from Thibaut’s Peacock Garden is another favorite element?love how they carried it over into the dining room. Just wait until you see the stunning family room! The custom-made arched pantry door painted aqua (Benjamin Moore Wedgewood Gray HC-146) with a crystal doorknob is the ?pièce de résistance?! 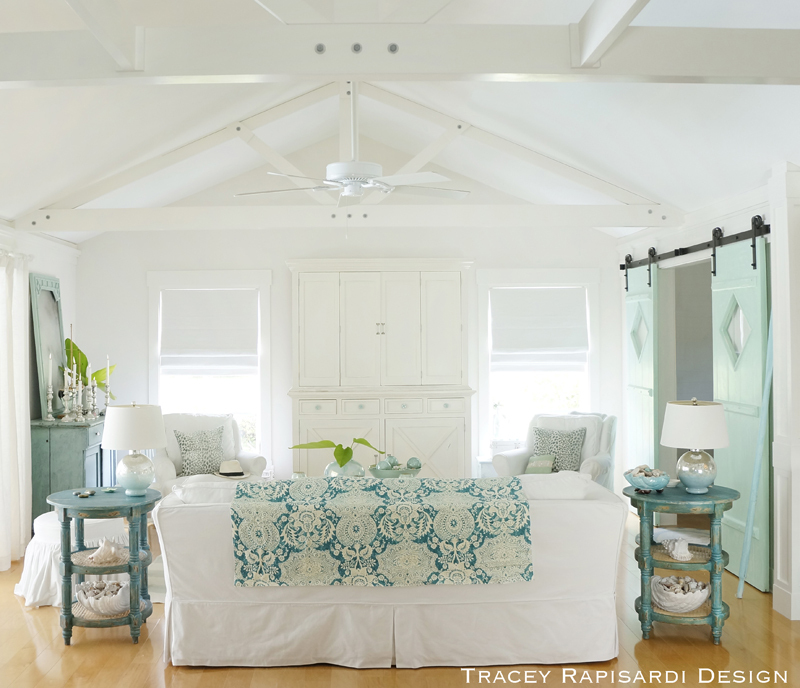 The turquoise chandelier by Currey & Co. is the perfect partner for the Thibaut panels. They reused the clients kitchen table and chairs but brought the chairs new life with a houndstooth fabric in turquoise and green. The client wanted lots of super comfortable seating in the family room that was beautiful but pet-friendly. LOVE the two CR Laine chairs painted a custom aqua and covered in a Sunbrella fabric. Believe it or not, where the art is was once a monstrous built-in with shelving and the TV. They tore the whole thing down to open up and lighten the room and moved the TV to over the mantel. The fabulous original art by Erin Gregory (one of my favorite artists!) was the inspiration for the entire color palette.